The QX30 will now only be offered in Sport grade for 2019. 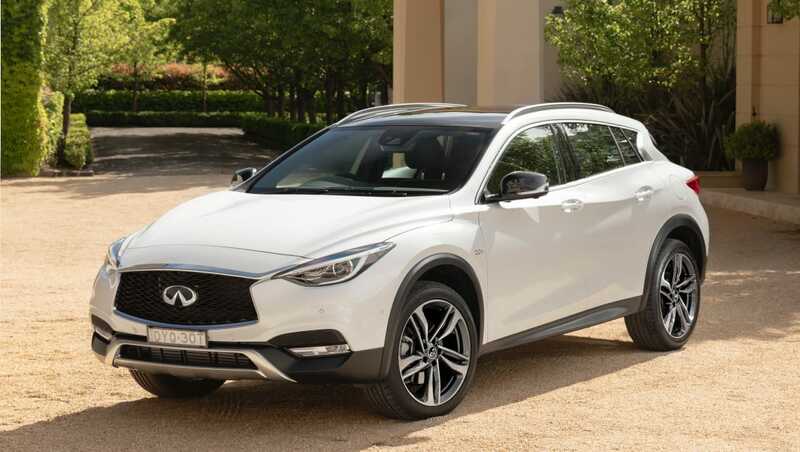 Infiniti Cars Australia has stripped back its QX30 small SUV range to just one gradefor 2019. The new variant - simply dubbed Sport - replaces the previous two GT and Premium grades and is priced from $49,888. The QX30 Sport is powered by the same 2.0-litre turbocharged petrol engine as before, producing 155kW and 350Nm of torque via a seven-speed dual-clutch automatic. 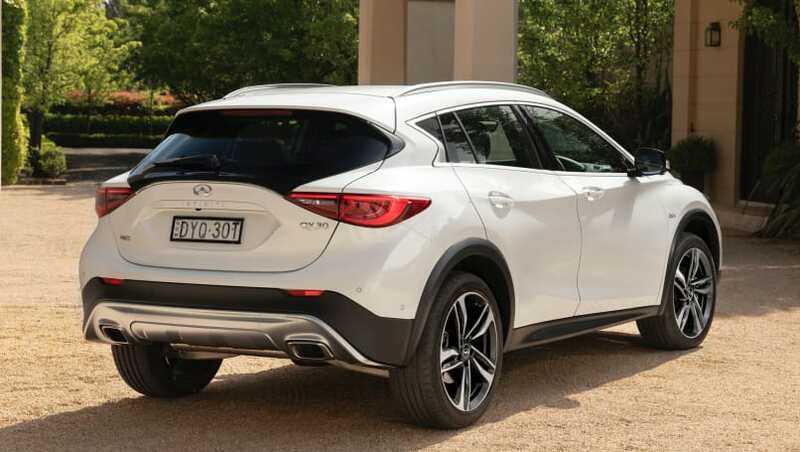 Unlike its Q30 hatchback siblings, the QX30 has an all-wheel drive system and raised suspension. Pricing for the new Sport variant sits between the previous GT and Premium grades. The QX30 Sport also scores new 19-inch wheels, satin and chrome highlights over the top-spec Q30 Sport hatch, as well as the same spec features which include a 7.0-inch multimedia system with DAB+ digital radio, built in nav and a 10-speaker premium Bose audio system, ‘Around View Monitor’ 360-degree reversing camera, fully-LED front lighting with high-beam assist, fully electrically adjustable and heated front seats, dual-zone climate control and leather interior finish. It also scores a more complete active safety suite including auto emergency braking (AEB – branded as Intelligent Brake Assist), active cruise control, blind spot monitoring (BSM), lane departure warning (LDW) and traffic sign recognition (TSR). Infiniti made these changes to the range based on ‘customer feedback’ and hope that the new pricing and spec for 2019 will help to increase the small SUV’s market share. Did Infiniti get the price right for its QX30 small SUV? Tell us what you think in the comments below.